MIAMI (Sporting Alert) — The defending NBA champion Miami Heat must win tonight in order to avoid surrendering their championship title on home soil to the San Antonio Spurs. Miami trails San Antonio 3-2 in the seven game Finals after suffering a 114-104 defeat in Game 5 and will be going all guns blazing to try and seal tonight’s vital win and force a Game 7. “We’re in a position where it’s a must-win and everything that we’ve done all year comes to this point, and we have to win,” experienced Heat guard Ray Allen said. The hosts are again expected to have their hands full against a very determined Spurs team, looking to close out the series claim the NBA title. 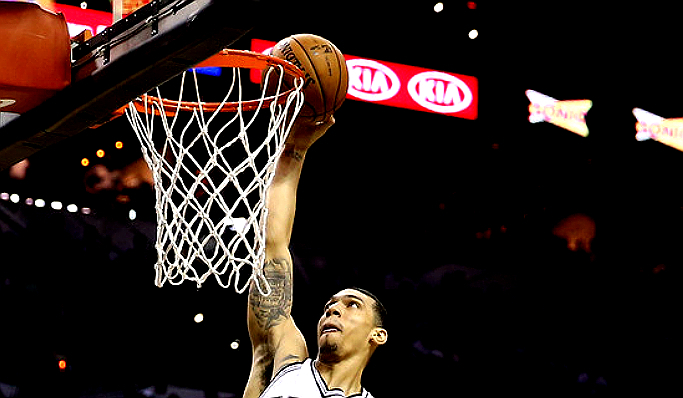 Danny Green came up big-time once again for the Spurs in Game 5 after hitting 6-of-10 from three point range to break Allen’s NBA Final record for 3s made in the series on his way to scoring 24 points, his second time scoring over 20-points in this Final. Green could again be the main man for San Antonio Spurs Tuesday night, but Heat big-man Chris Bosh has no intentions of making life as easy for him in Game 6. Bosh said he plans to mark him tightly at all times. “He has a knack for shooting, but he won’t be open tonight,” Bosh said on Tuesday. This game is also one that Bosh, LeBron James and Dwyane Wade need to figure out really quickly as the team needs them to shine. “We’re going to see if we’re a better team than we were our first year together,” James said. Wade added: “We challenge ourselves to see if we’re a better team than we were. Wade also admits that San Antonio will want to close out the Final with a game to spare, but added that Miami is just as determined to stop them. “I’m sure this team, they’ve been here before many times. They understand winning that last game is one of the hardest things you’re going to do. And we understand it as well,” Wade said.